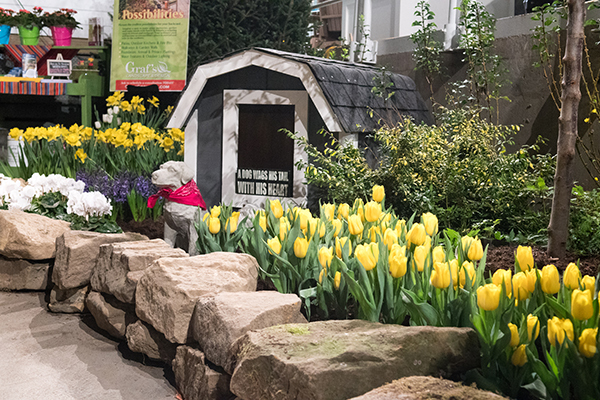 From hammers to hydrangeas, basement to begonias, ladders to lillies, housewares to hostas, attendees at the 24th annual Akron Home & Flower Show can get a touch of spring and begin planning indoor and outdoor remodels, renovations or redecorating projects. Taking place Feb. 23-25 at the John S. Knight Center, the Home & Flower Show features nearly 150 local and regional professionals in the fields of construction renovation, home decor, HVAC, kitchen and bath, windows and doors, outdoor living, financial, cleaning and organization, non-profit associations and more. Carter Lumber sponsors the stage for great presentations all weekend like Dr. Lori's Antiques Appraisal Comedy Show. Dr. Lori stars on the History Channel’s #1 hit TV show The Curse of Oak Island. She has also been featured on Discovery Channel’s Auction Kings, FOX Business Network’s Strange Inheritance, NBC’s The Tonight Show, and Comedy Central’s The Daily Show for her vast knowledge and wildly funny no-holds-barred approach. Akron Home & Flower Show visitors have the opportunity to bring an antique or treasure to be identified and valued for free as part of this one-of-a-kind, entertaining event. Be sure to bring your treasures. Also sharing the stage is former White House florist, Laura Dowling. She served as chief floral designer at the White House form 2009 until 2015. In this unique position, she managed décor and flowers for thousands of White House events while using flowers as a strategic tool for communicating diplomatic, symbolic and policy messages. Of course the show wouldn't be complete without a visit from animal specialist, Outback Ray. 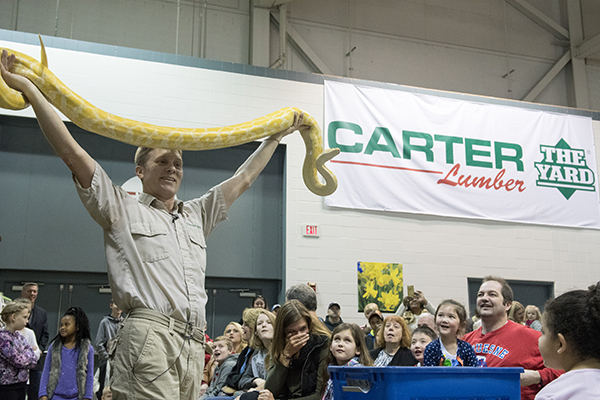 Through his Amazing Animal Show, Outback Ray uses his show to share his knowledge and passion for exotic animals with his audience. He captivates young and old alike with his unique “family” show, all while sharing fascinating facts about each animal. While perusing the show, don't miss the Market Merchants and the featured Garden to Table experience in addition to the stage shows and vendor displays. Show hours are Friday, Feb. 23 and Saturday, Feb. 24 from 11 a.m.-8 p.m. and Sunday, Feb. 25 from 11 a.m.-5 p.m. Tickets are available at www.akronhomeandflowershow.com for $10 general admission and $9 for military and seniors.